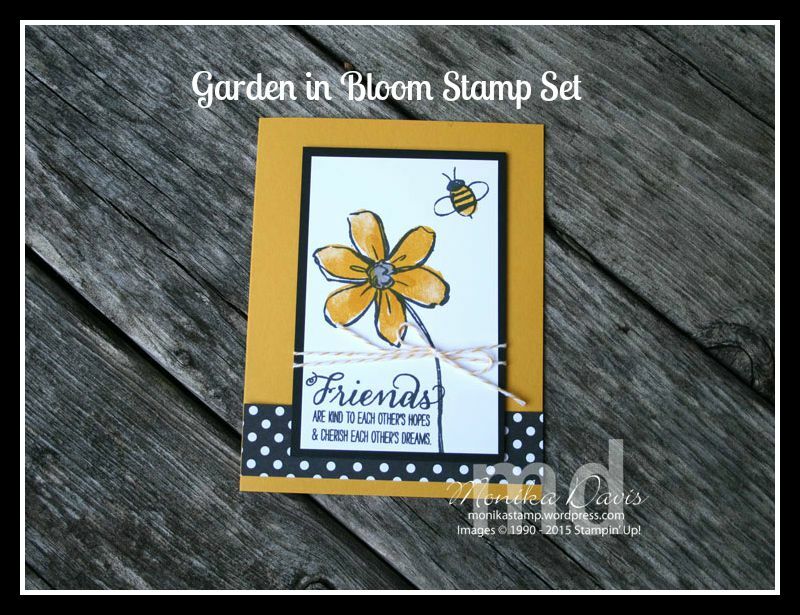 I didn’t initially plan to get the stamp set Garden in Bloom. But every time I flip through the Stampin’ Up! Annual catalog I stop at it and ponder getting it. It looks like it would make so many beautiful cards. After a couple of months of doing this I finally added it to an order – and yes I do love it. I used it earlier this month for a card in one of my private card groups. The card idea came from my friend Diane. It’s actually the perfect card for me – it has the bumble bee (or yellow jacket) and the colors are Georgia Tech colors. The two-step stamping makes for a quick and easy flower – and since the set is photopolymer you can see right through to where you are stamping. This set even has the little tabs on the stamps so you know where to line them up. A little tip that I used is that I position the tab where I wanted my stem to be – so then when I stamped the next layer I made sure to position the tab in the same spot. For the center of my flower I used the Smoky Slate Stampin’ Write marker just to color it in, The strip of designer paper is from the Neutrals Paper Stack. I’m so happy that they updated these monochromatic patterns this year. I’ve been using them a lot. I think I’ve already used all of this black polka dot pattern,. 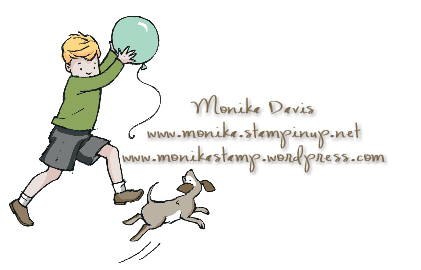 This entry was posted in Cards and tagged Monika Davis, Stampin' Up!. Bookmark the permalink.